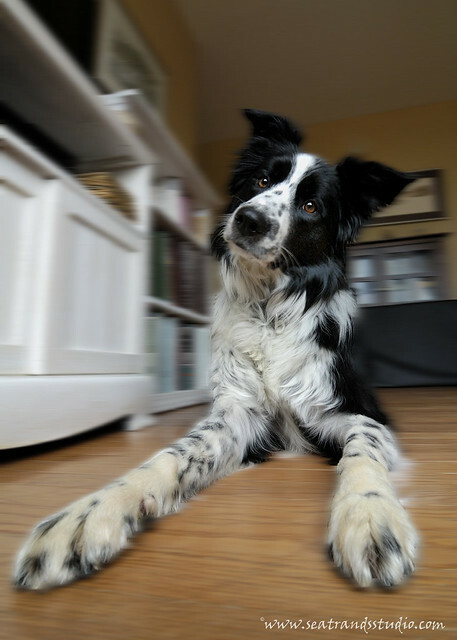 A border collie in motion tends to go more into motion. Love the low-light capabilities of this lens and how fast it is!! To take a bit of a break from work this morning, I hauled out the new lens, snapped it on the camera and stuffed my pockets full of treats. Suddenly, the subject matter appeared out of nowhere and followed me around the house. 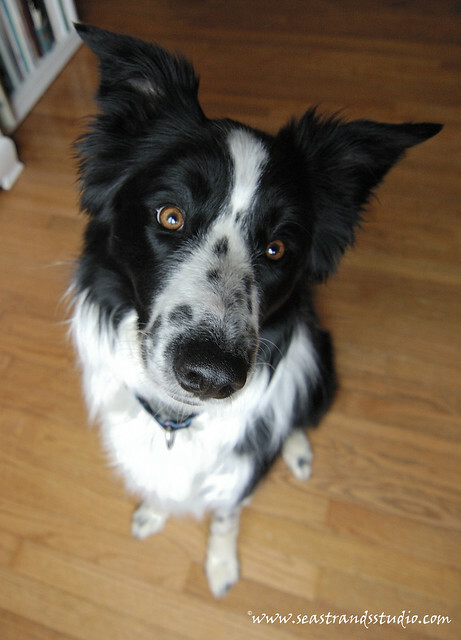 There's nothing like a wide-angle lens to bring out the ears in a border collie! The hardest part was keeping the noses off the lens, since you can have this thing a foot from your subject matter. In dog terms, that’s equal to a reach of the neck and a swipe of the tongue. The expressions are pretty indicative of their personalities. Moss is wanting to be somewhere else and Rowan is flopped over and resigned to staying put until allowed up. the pictures are epic! how do you do that? 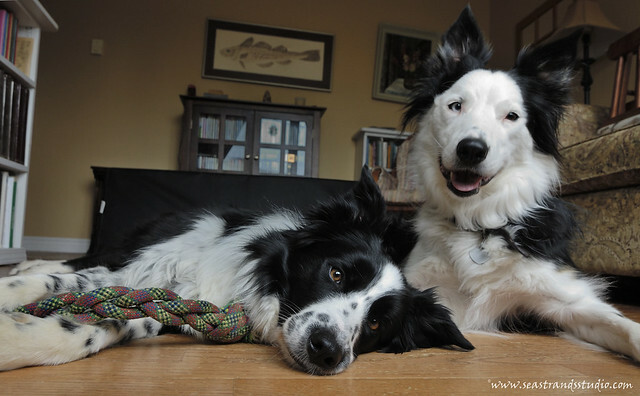 Great photos and cute doggies! They do have their moments. Of course, the out-takes and unused shots are pretty hilarious.